Is 48 Days just hype to make Dan rich? Dan is your 48Days a self help program and will it find me a better job or is that all hype to sell your book? If it does work do you have any proof of this? I am a critic as I believe you are trying to sell me something that may not work just so you can get rich. I know my passion but have spent my whole life avoiding and even sabotaging it due to fear. Fear of failure, fear of success, fear of the unknown, fear of running out of money, etc. How do I get past my fear so I don’t lose my chance? We have debt so I need a JOB?? Do you and Dave Ramsey ever debate your ideologies? I find it cool that the both of you are such good friends but there are some ideological differences in your messages. I know you aren’t fond of people finding JOBS to get by but instead encourage people to do something they love. But since we have debt and I still need to bring in a steady income I am looking for a job. 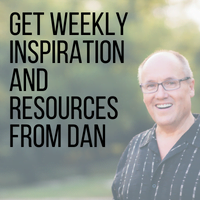 Dan, I recently reviewed your 48 business ideas. I like the idea of providing a mobile tool sharpening service. I have the necessary knowledge and most of the tools. My biggest question is how to advertise. I’ve thought of Craigslist, newspaper etc. but I have no marketing knowledge. I am miserable at my job because I am on salary and working 60-70 hrs a week and not much time for anything else. I would love to just quit my job and go pursue my dreams, but I do have a wife and 3 children that I dearly love and need to take care of. Can I pray for profit? How do I answer questions about my current salary on online company job applications? I know you recommend putting off answering what my salary expectations are for the position being interviewed until the right time, but didn’t know how to answer if they outright asked about my current salary. I have a successful podcast I’ve been running. I’m miserable at my full time job-I’m physically drained and not mentally or physically healthy. I’m thinking of going full time internet business because – I come alive and I’m able to balance my life out. The problem is my wife is not supportive with the idea. 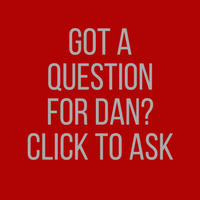 Is Dan a real person? This is a test to see if you are a real person or not. I bought 2 books of yours to try and figure out what to do with my pathetic life and I’m still drawing a blank. Face it I’m a loser and smart people don’t talk to people like me. I’ve got 100 bucks bet I never hear from you. Is there a good way to make money being an amateur photographer? A listener is less ready to go back to an office after spending so much time working outdoors in a less structured, free-flowing environment.